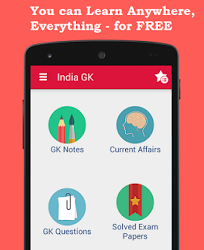 8th August 2016 Current Affairs MCQs, Quiz, Questions: Current Affairs for August 2016, Daily Multiple Choice Questions (MCQs) for India GK, World GK and current affairs with Collection of daily objective type Question by www.Indiagk.net based on General Knowledge (GK) and General Science (GS) Questions for UPSC, State PSC, SSC, Police exam, Railway exam, SBI, Bank PO, IBPC, SSC, LDC, UDC, Army, Airforce, Navy, Coast Guard, Bank Clerk, TET and all entrance examination with current affairs News, Multiple Choice Questions (MCQs) available on Website www.IndiaGK.net and Android Apps with daily updates:. What is the theme of the 2016 Rio Olympics? RBI constituted a committee to look at facets of household finance in India chaired by which individual? Health Minister launches MAA programme recently. MAA Stands for ---- ? Who created history by becoming the first Indian gymnast to enter the Olympic final at the Rio Olympic Centre? In which country over 60 killed in blast at hospital on 8th August ?